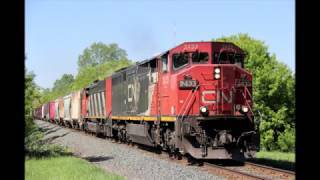 The SD60 is a six-axle diesel locomotive built by the Electro Motive Division of General Motors from 1984 to 1995. Due to the unreliability of the SD50’s, EMD’s creation of the SD60 was a success as many Class One railroads still roster these locomotives today. 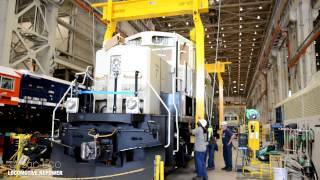 The 60’s all have a 3,800 horsepower 16-cylinder 710G series EMD prime mover. 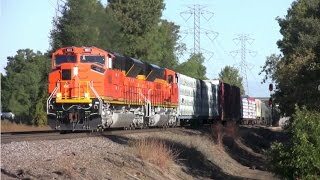 This was an improvement to the 3,000 horsepower 645’s that were found in the SD40-2’s. 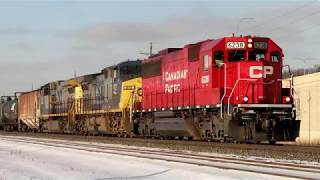 In this volume, we take a look at the wide cab models of this locomotive. 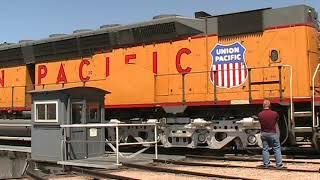 Included are SD60M’s from BNSF, Union Pacific, Soo Line, Canadian Pacific, CSX and Norfolk Southern. 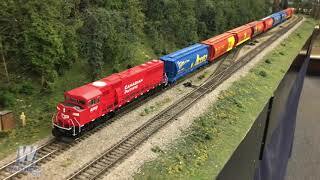 Also included are rebuilt SD60E’s from NS and the Cowl design SD60F’s from Canadian National. 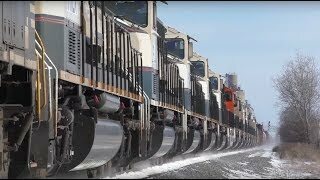 In a world of high horsepower and high tech locomotives dominating the rail scene on Class One rails, it is refreshing to see these old workhorses still out doing their thing. 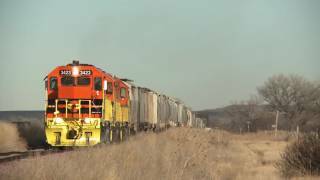 Enjoy the sites and sounds of SD60’s!